Pretty folder in a standard A4 format made from patterned, brown backed cardboard. 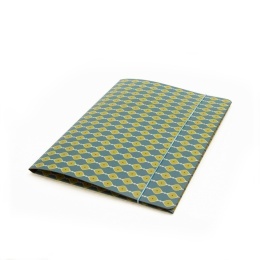 Perfect for notes, documents and other loose paper collections. Our folders are all handmade and feature side flaps and a matching elastic strap to prevent any important papers from escaping. 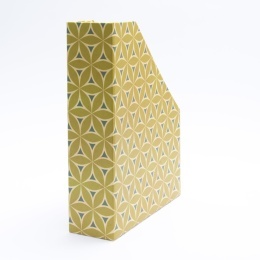 Pretty folder made from patterned cardboard from the MARLIES series. 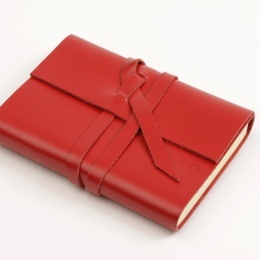 Timeless and durable: Notebooks featuring a leather cover with a double wrapped belt for closure.